What should we expect going forward? Will the next version out be CS7, and when will that be? Or will we instead see a mid-cycle release like CS6.5 available first? Fortunately Adobe has already answered all these questions, and in fact they answered them last year. Adobe plays an important role here, and we have realized that our historical 18-month release cycles are not going to be sufficient to address these rapidly-evolving trends. 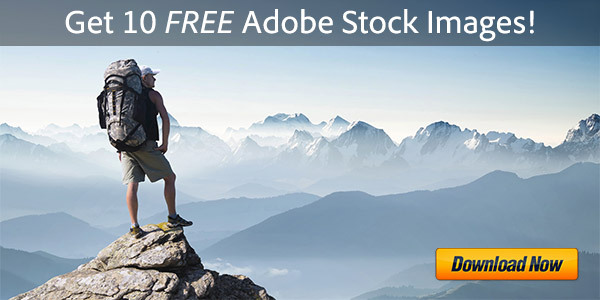 So Adobe decided to ship major milestone releases of Adobe Creative Suite software approximately every two years, with mid-cycle releases that incorporate the most critical features customers need in the interim years. The first mid-cycle release is Creative Suite 5.5, and it addresses these challenges. So add it up and what does it mean, how does the future look? It means we might expect Adobe CS7 to be released in the spring of 2014, with an interim CS6.5 release coming out in between, probably in May of 2013… As with CS5.5, we may not see all Creative Suite applications upgraded for CS6.5 – for example, there wasn’t a CS5.5 version for Photoshop or Illustrator. Any beta versions of CS6.5 or CS7 applications should be anticipated 1-2 months ahead of their final releases. What New Features Will Be In Adobe CS6.5 – or CS7? We actually know some of the new product features that will be in the next formal release of Creative Suite… We know this because of the Creative Cloud, where some of these additions since CS6 have already been released early to Cloud members. Photoshop: Copy CSS support, Image Deblurring, Conditional Actions, plus lots more. Illustrator: Package Files and “Unembed” Images functions, Links Panel enhancements. InDesign: Retina Display and native 64-bit/Cocoa support with dark UI, plus QR Codes. Dreamweaver: Improved HTML5 support, new CSS Designer tools, better FTP transfers. 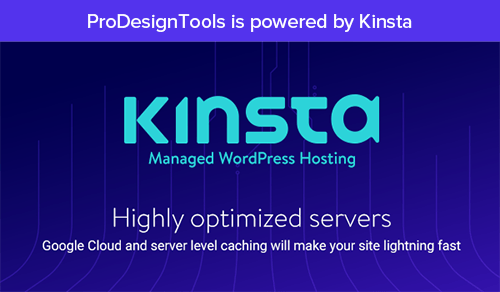 Flash Professional: 64-bit architecture, native cocoa, faster, more reliable, + new UI. Premiere Pro: Too many to list – see the “NAB Reveal” sneak peek videos. After Effects: Incredible new “Refine Edge” Rotoscoping and much, much more. Audition: Sound Remover, Preview Editor, Native 64-Bit Performance, Favorites Panel. Prelude, SpeedGrade, Media Encoder: See the first looks. Inclusion into the suite editions of new Acrobat XI Pro, which is already in the Cloud. In addition, by 2013 all major Adobe tools should natively support the new MacBook Retina and HiDPI displays, for which Adobe says free updates will be coming for all current users before the next release. The list includes Dreamweaver, Photoshop, Illustrator, Premiere Pro and Lightroom. InDesign is more uncertain… Adobe says it’s its most complex software product, so InDesign support for Mac Retina may not be available until the next major release is shipping. The same goes for Flash Pro. Meanwhile, other applications like After Effects are said to be already compatible with Retina displays. If you would like early access (now) to some of the new features listed above, consider checking out the Creative Cloud via either a free membership or paid subscription… Adobe says Cloud members will always have the latest versions available to use, which in a nutshell means that all product upgrades are included in the program. Creative Suite vs. Creative Cloud – Which Should You Choose? I also don’t think there will be a CS6.5, I think there will be CS7 but they will wait as the Cloud members get updates as soon as they are ready – so Adobe can wait a while, as I think Adobe wants everyone to become Cloud members. Just what I think! The problem with cloud applications is you need a stable and fast Internet connection — ours is somewhat fast but not stable — would really hack me off to be in the middle of a project and have the Internet quit on me — it’s bad enough when I’m in the middle of posting something on Facebook to a friend. In answer to the question, what would you like to see in CS6.5 or CS7? I have a mere 88 feature requests for Premiere Pro: Adobe Premiere Pro CS6.5 Wish List. The length of my list may indicate that I don’t like Premiere, but I like it a lot. I’m just picky and like any professional editor, I spend many, many hours editing. When will Adobe announce CS7, as I really don’t think there will be a CS6.5? There is hardly anything online about the Announcement Date! @ Anne Peterson – from what I’ve read, apps will run locally. Adobe Creative Cloud doesn’t really work like that. You can work just as well without an Internet connection, however it needs internet access once a month or so to check the validity of your subscription. Yes, absolutely correct – for more about that, see the Common Cloud Myths link posted just above. Will Adobe CS7 Creative Suite be available to purchase the suite like always? I always buy the Design Premium suite, I have CS6 Design & Web Premium and I was just wondering if we will still be able to purchase the next generation as a licensed copy or will we have to buy the Cloud membership? Thanks and hope to get some feedback. Hi Wesley, nice to see you again. That’s a great question but we can’t say because we don’t know the answer… Adobe has not yet announced any pricing or upgrade options for the next release, but we do anticipate finding out more about those details on May 6th – so stay tuned. Even with a good computer it’s really slow… And you need to render every 10S so yes a smart background rendering would be nice ! Hey there Iano, we haven’t seen anything yet on what’s new for Fireworks, but will be sure to post it here if/when we hear. I’m a little annoyed, because some people say that Fireworks is dead or is intended to die. It is true that there are many bugs in the CS6 version, but as I had trained as a web designer / ux designer with this fabulous program, it would hurt. In addition, it is less expensive than buying Photoshop. Well the only chatter we’ve heard about Fireworks is from user speculation only. There is no news at all from Adobe about anything like that. We know there are a lot of fans of Fireworks out there, so frankly we would be surprised if any of that actually happened. The best place to give your feedback about Fireworks or any CS tool is directly to the Adobe tech team themselves. Will we get upgrade prices on the 6th of May to tell us what to expect to pay, and when we will be able to purchase the new Adobe software? Thanks. Yes Wesley, we do expect that – it’s shaping up to be a big announcement with details on what’s new in the next version, plus we anticipate hearing about product pricing and availability. You can find out more by tuning into the free live webcast here. So… if I own a version of CS6 Production Premium and CS6.5 might come out, am I eligible for a free update? Or will it cost me? 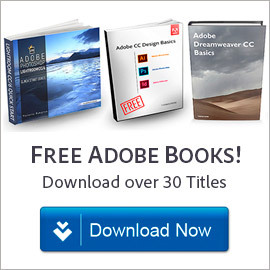 Traditionally, Adobe’s major feature upgrades (like CS4 to CS5, or CS5.5 to CS6) have never been free. For example, here’s the current upgrade pricing to CS6 from prior releases. However, that said, the model is now changing with the Creative Cloud, which came out a year ago with CS6… If you have the Cloud, then you get all new versions included at no additional charge with your membership. Hi, do you guys at protools think adobe will release a perpetual-licensed version for the next generation of creative tools CS7? Thanx and am looking forward to hearing from you! Hey there, for that question please see our response above to Wesley. There’s also more discussion about that topic on our newer CS7 post here. While Adobe Creative Suite® 6 products will continue to be available for purchase, Adobe has no plans for future releases of Creative Suite or other CS products. 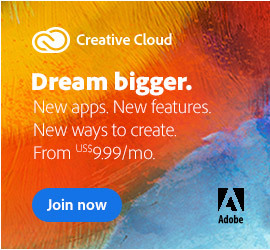 Creative Cloud – Any CC application for $9.99/month if you join by 7/31/2013. Regularly $19.99. I was wondering why the special to upgrade from CS6 to Creative Cloud for $19.99 is not available in my country, which is South Africa… I will upgrade if I can get that price for the first year. Well, we checked out Adobe’s Special Offers Page for Africa, and you’re right – the $19.99 offer is not available in your region; the pricing is $29.99 for upgrades to CC from CS3, CS4, CS5, and CS6. Not sure why it’s different, but Adobe’s offers do tend to vary from country to country… and not all specials are available in all geographies. Sorry about that! I think there must be beta versions swimming around somewhere. I recieve a lot of logos in my job. Twice in the last month I’ve gotten a “The file was generated by a newer version of Illustrator and cannot be opened” message on my Windows CS6 machine. It’s called “CC” rather than CS7 because these applications are available exclusively via the Creative Cloud. You can read more details about CC here. If you’re just interested in what’s new, then here are all of the feature differences between CS6 vs. CC. 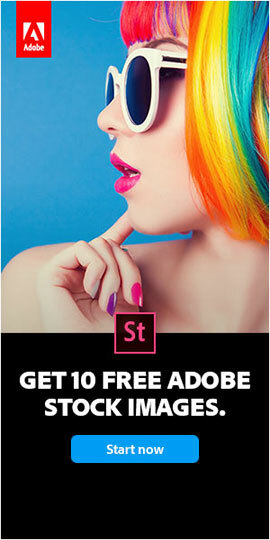 Adobe Black Friday / Cyber Monday 2012 Offers, Deals & Coupons Photoshop Image Deblurring: Coming Soon to Adobe Creative Cloud? When Is Adobe CS7 - or CS6.5 - Coming Out?